How Can Local Advertising Better Monetize Mobile Apps? Mobile advertising is getting more local, resulting in better eCPM’s for mobile publishers and a better experience for users. Join a discussion with mobile advertising industry leaders Chetan Sharma of Chetan Sharma Consulting and Will Hsu, Chief Product Officer at AT&T Interactive as they address the future of mobile advertising and how mobile publishers can monetize their apps. 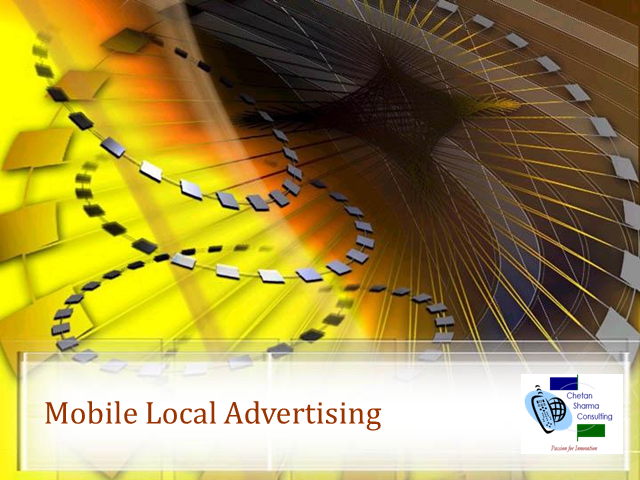 Title: How Can Local Advertising Better Monetize Mobile Apps?